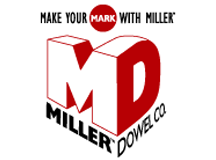 There are several advantages to natural joinery with Miller Dowel Company products. Below we've listed just a few, but we're sure you'll find more. Let us know if you do, or contact us in Chicago, Illinois, to learn even more tricks of the trade.